Impressively on Sunday 5th February in the Russian city of Sochi, Chantal Mantz had won the Women’s Singles title at the Stag 2017 European Under 21 Championships, having two days earlier experienced defeat in her opening match of the tournament. 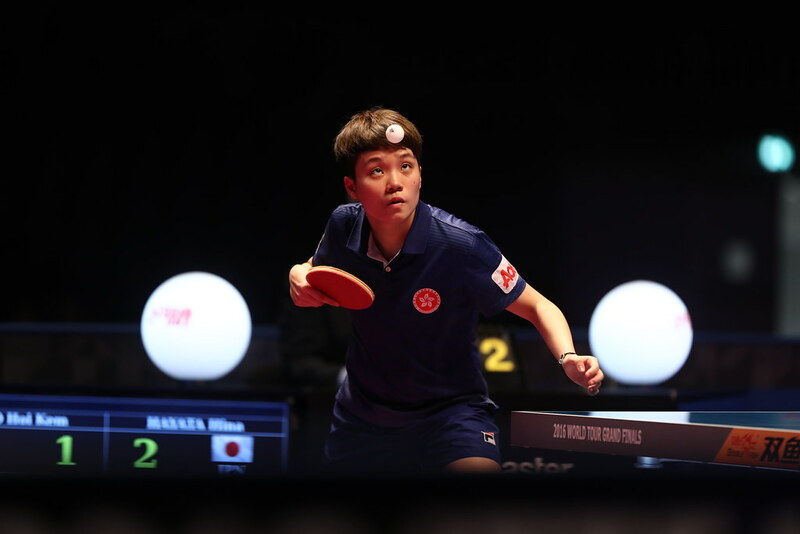 Later on the same day, over 2,000 miles further east, in the French Riviera resort of Antibes, at the 2017 ITTF-Europe Top 16 Cup, Li Jie of the Netherlands emulated the feat of the 20 year old German. Like Chantal Mantz, two days earlier competing in the group phase of proceedings, she had experienced defeat; the no.4 seed, in her initial contest she had been beaten by Viktoria Pavlovich of Belarus, the no.12 seed (11-7, 14-12, 12-10). On the concluding day of action, having accounted for Sabine Winter, the 8 seed (5-11, 11-7, 15-13, 9-11, 11-7, 11-6) at the semi-final stage, she secured the title at the expense of Petrissa Solja, like Sabine Winter from Germany, in what was an anti-climactic final. Petrissa Solja withdrew after the end of the fourth game owing to an arm injury (11-7, 7-11, 11-3, 11-6, 11-0). It was for Li Jie, her second appearance in the final of the tournament which, before 2015, was the Europe Top 12. In Lyon / Villeurbanne in 2012 she had also faced a German adversary in the final; she had been lost to Wu Jiaduo. Disappointment in 2012, three years later at the Liebherr 2015 European Championships staged in Ekaterinburg, Li Jie suffered the same fate; she was beaten in the final by Romania’s Elizabeta Samara. Success for Li Jie means that she becomes the fourth player representing the Netherlands to win the title. However, she has some distance to go to catch the lady who sat courtside as coach in Antibes. Colleague Li Jiao won in 2007 in Arezzo, the following year in Frankfurt before once again succeeding in consecutive years in Düsseldorf in 2010 and Liège in 2011. Previously, a generation earlier, Bettine Vriesekoop had emerged successful in 1992 in Nantes and in 1985 in Barcelona; six years later in 1991 Miriam Hooman won on home soil in Hertogenbosch. Invitations to the Women’s World Cup to be staged later in the year in Markham, Toronto assured for Li Jie and Petrissa Solja, the one other player on duty in Antibes, assured of a place in the prestigious annual event is Sabine Winter. The no.8 seed, she overcame Austria’s Liu Jia, the no.3 seed by the very narrowest of seven game margins to clinch third spot (11-6, 8-11, 11-8, 11-5, 2-11, 7-11, 11-9). Players finishing the first three places at the 2017 ITTF-Europe Top 16 Cup gain invitations for the Women’s World Cup, further places may become available following continental tournaments in Africa, America, Asia and Oceania.